The edition of the album can make the difference between a record worth a couple of bucks and one worth several hundred dollars. If you're a serious record collector, nothing but a first edition will do. 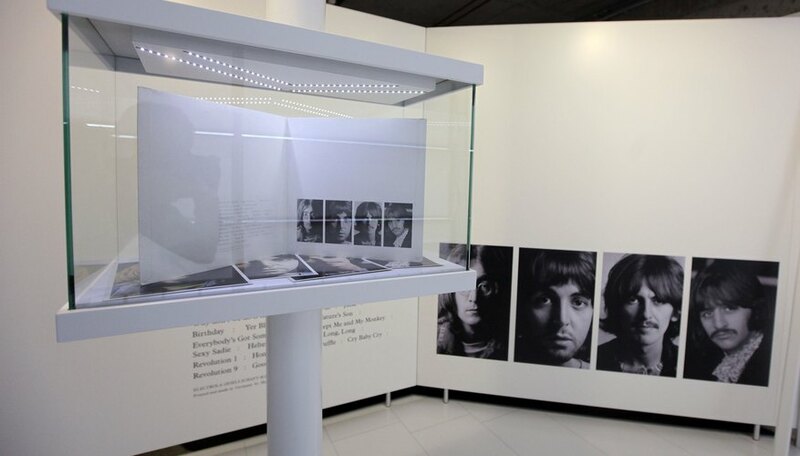 For Beatles records, this means knowing the design quirks for each of the various record releases, as well as a few commonalities that are true to all first pressings of Beatles albums. Once you've educated yourself about these records, you'll be able to spot and purchase these records if you find them at a used record shop or a garage sale. Look for records that were pressed in Great Britain and are marked "Sold in the UK." The country of manufacture is on the back of the record sleeve and printed on the record itself just below the track listing. All first pressings of Beatles albums originate in the U.K. and are marked as such until "The Beatles" (the White Album). Check for mono recordings. Every Beatles album has been remastered in stereo, but the first pressings were made in mono, except for the band's first release, "Please Please Me," and its last two releases, "Abbey Road" and "Let It Be." Read the date on which the record was made. The date of manufacture is on both the record and the sleeve. Educate yourself about the release dates of each album and look for these dates on the record. Try to find gold printing on the record itself to identify the first pressing of "Please Please Me." This stereo recording is extremely rare and valuable. Check the song names on the Beatles' second album, "With the Beatles." The first printing misspelled the song title "You Really Got a Hold on Me" as "You Really Gotta Hold on Me." Look at the Matrix numbers on "Rubber Soul" and "Revolver." Matrix numbers are the numbers printed on the record at the bottom or top of the label. The first edition of "Rubber Soul" was mastered at a louder volume than subsequent editions and has matrix numbers ending in "-1." Similarly, the first pressing of "Revolver" has a different cut of the track "Tomorrow Never Knows" and also has a matrix number ending in "-1." Search for numbered copies of "The Beatles" (the White Album). The first printing of this album was numbered and numbers lower than No. 0010000 are particularly valuable. Scan through the back of the record sleeve for "Abbey Road." First pressings do not list the last track, "Her Majesty," and have a misaligned Apple logo. Not every Beatles album has design quirks for first printings.